It's another week closer to fall, I can't believe how fast summer has past! I've been so busy at work I have not had much time to do anything for myself. The systems development group I work for has been undergoing so many changes this quarter and I find myself up late, more frequently past midnight, just to get them implemented! I'm not too bummed about it since this month is the final implementation date and...I finally go on my must needed vacation!! I'm looking forward to sharing that with all of you friends. 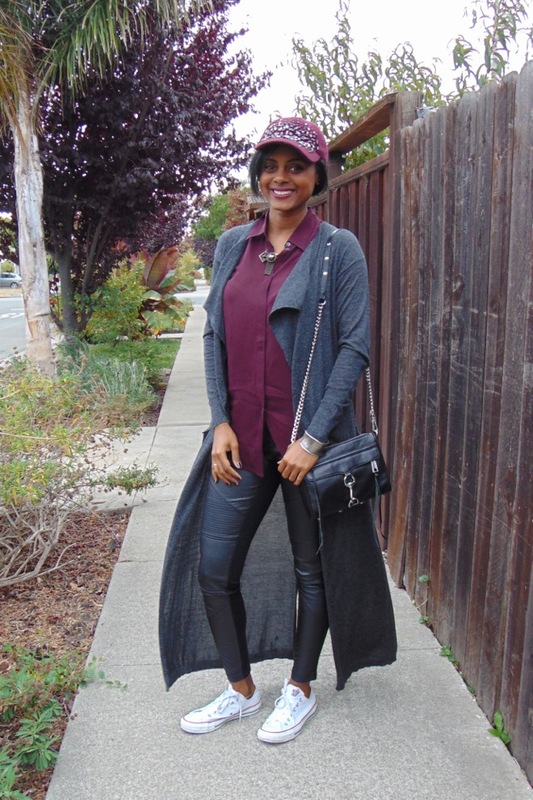 What I like about coming into fall are the transitional fall pieces. 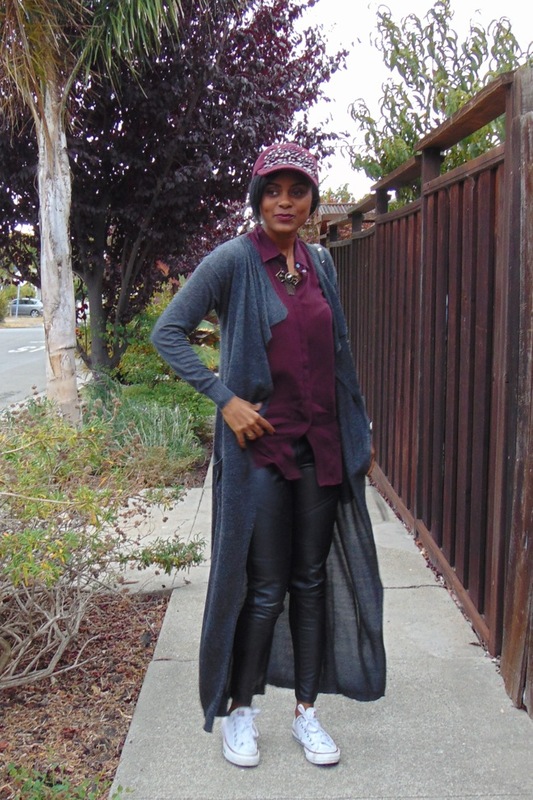 I scored this super cool Leigh Drape Duster Sweater during Nordstroms Anniversary Sale. It sold out and now I see they'e replenished their stock online! :-) I like that it is extremely light weight so I can wear it in the summer on top of a tank and it be totally weather appropriate. I can even see myself wearing this with some boyfriend shorts and maybe a casual dress. It's my first time wearing...I can't wait to experiment more with it! 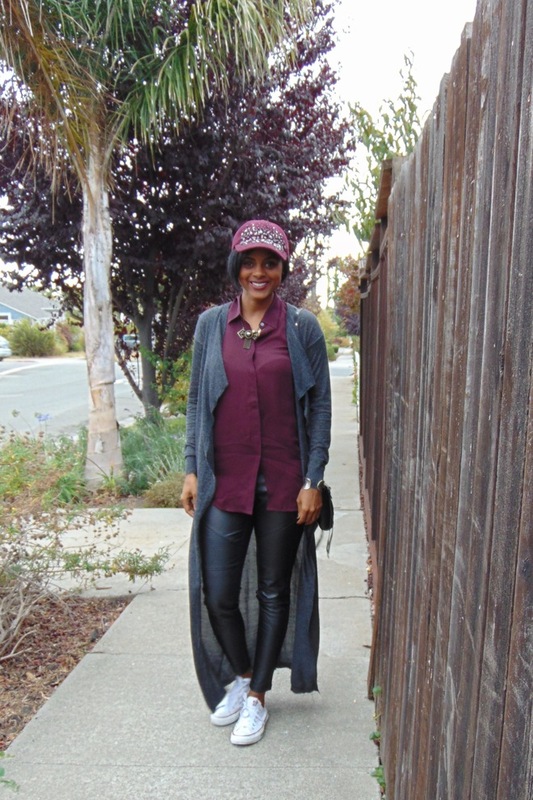 I also coped the leather moto inspired Trouve Faux leather leggings during the sale. Great buy and even better, they are all under $100! Can't beat that. Were you able to score anything during Nordi's Anniversary?? Do share! And send me the link so I can check it out! 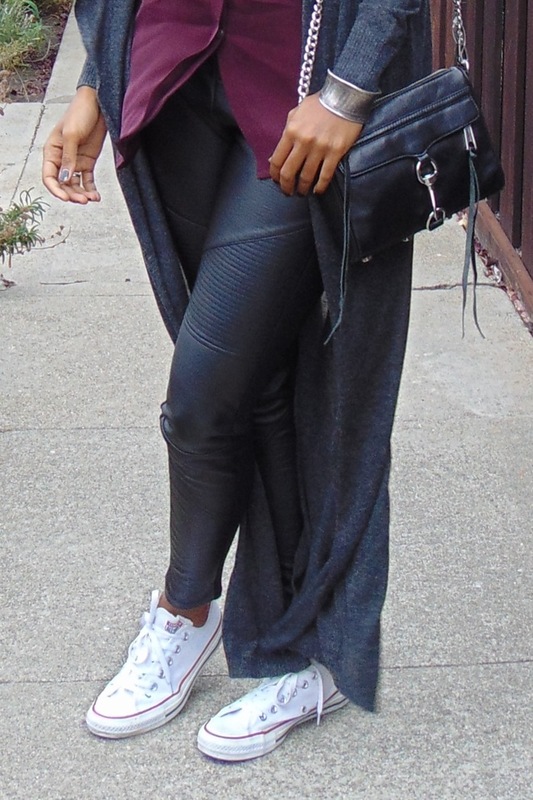 love this city casual look. will try! Thanks so much Donna!! 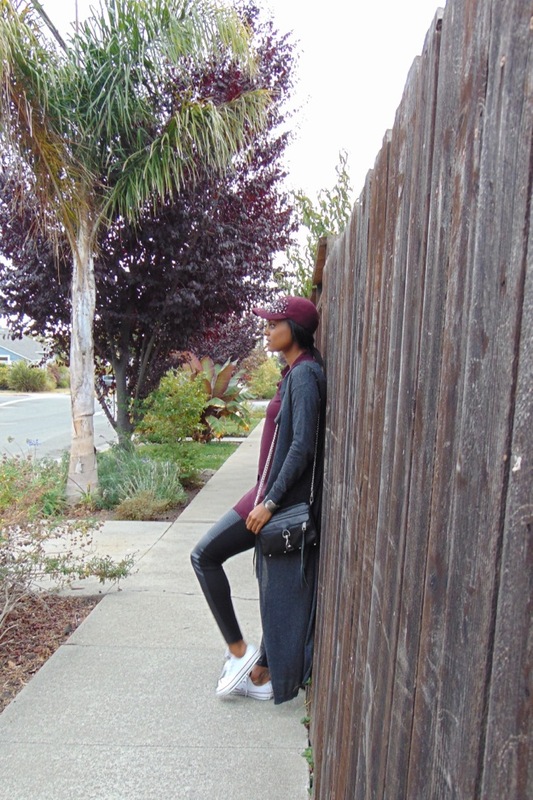 ...I love everything about your Oxblood post! 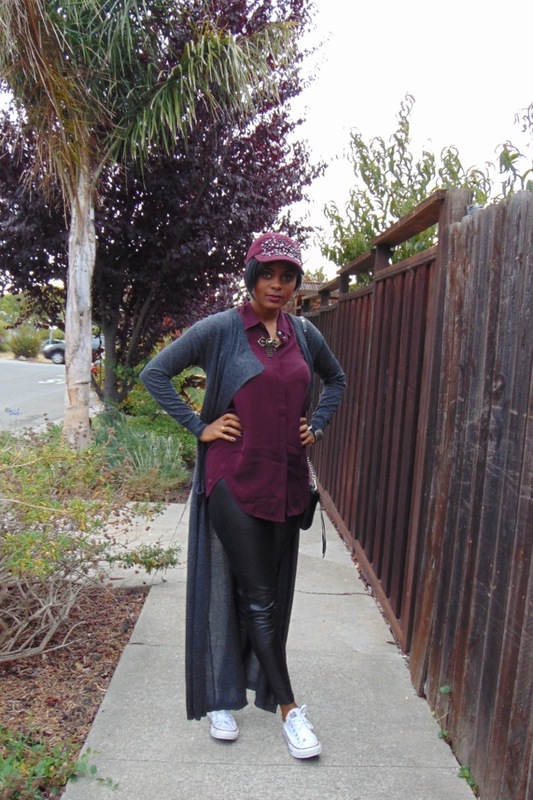 Especially the leather pants. So chic!